Go My Journey Pvt Ltd is a well-known Tour & Travel Agent in New Delhi offering comprehensive Car & Coach Rental Services. We offer Car & Coach Rental Services to call clients irrespective of budget and specifications. We have a fleet of cars to choose from. 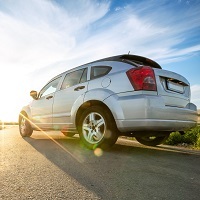 All our cars and coaches are well-maintained and comfortable. As per your requirements, you can book an AC or a Non-AC car. Also, you can book a small-sized or a big sized car depending on the size of your family or group. With each car, you are provided a driver who will not only take you around places but will also enlighten you about the different places and their local culture and traditions.